PBS Annual Meeting, SAN DIEGO, CA; May 16, 2017 – Allen Weatherly, former executive director of Arkansas Educational Television Network (AETN), was honored posthumously as the 2017 recipient of the Daniel K. Miller PBS Station Leadership Award, PBS announced today. Weatherly died at age 64 in November 2016, following a career in public broadcasting that spanned nearly four decades. His wife, Peggy Weatherly, accepted the award on behalf of the Weatherly family from PBS President and CEO Paula Kerger at the PBS Annual Meeting in San Diego. The Daniel K. Miller PBS Station Leadership Award recognizes a current or former PBS station manager or managers in the public media system whose leadership, vision, courage and commitment to the mission and principles of public media have inspired station staff and system colleagues to expand the impact of public media to become change agents in the communities they serve. It is named in honor of Dan Miller, who received PBS’ first station leadership award in 2016. Miller is former executive director and general manager of Iowa Public Television, which he led for 11 years and served at for 37 years prior to his 2013 retirement. A nationally known leader in the public television system, Miller is the recipient of numerous broadcasting and broadcast journalism awards, and served on various boards and committees for the Corporation for Public Broadcasting, PBS, WGBH, the BBC and other public television organizations. “Above all else, Allen was a true friend who enriched our lives with his concern for others, love of music and culture, and his unparalleled sense of humor,” the board noted. Weatherly joined AETN in 1993 and eventually rose to the position of executive director in 2001. He also served as executive director and board member of the AETN Foundation, which granted him a position in the Arkansas Governor’s Cabinet. Before joining AETN, Weatherly spent 13 years at Ozarks Public Television in Springfield, Missouri, ultimately becoming senior vice president and director of broadcasting. Earlier in his career, he was a newspaper columnist in Missouri and Arkansas and taught communications courses at local universities. 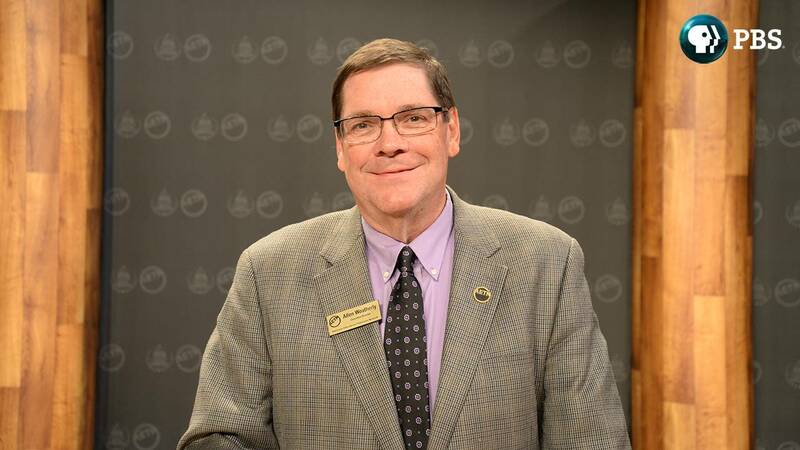 Weatherly was elected to two terms as a member of the PBS Board, including service as Professional Vice Chair of the Board (2010-2013) and as Chair of the Interconnection and Station Services Committees. Under his leadership, PBS developed Guidelines for At-Risk and Unserved Areas, designed to help ensure universal access to the full National Program Service. In addition to his service on the PBS Board, Weatherly served in leadership positions with the National Educational Telecommunications Association (NETA) and the Organization of State Broadcast Executives (OSBE), enhancing his service to the public media system at the national level. PBS, with nearly 350 member stations, offers all Americans the opportunity to explore new 100 million people through television and nearly 28 million people online, inviting them to experience the worlds of science, history, nature and public affairs; to hear diverse viewpoints; and to take front row seats to world-class drama and performances. PBS’ broad array of programs has been consistently honored by the industry’s most coveted award competitions. Teachers of children from pre-K through 12th grade turn to PBS for digital content and services that help bring classroom lessons to life. Decades of research confirms that PBS’ premier children’s media service, PBS KIDS, helps children build critical literacy, math and social-emotional skills, enabling them to find success in school and life. Delivered through member stations, PBS KIDS offers high-quality educational content on TV – including a new 24/7 channel, online at pbskids.org, via an array of mobile apps and in communities across America. More information about PBS is available at www.pbs.org, one of the leading dot-org websites on the internet, or by following PBS on Twitter, Facebook or through our apps for mobile and connected devices. Specific program information and updates for press are available at pbs.org/pressroom or by following PBS Pressroom on Twitter.